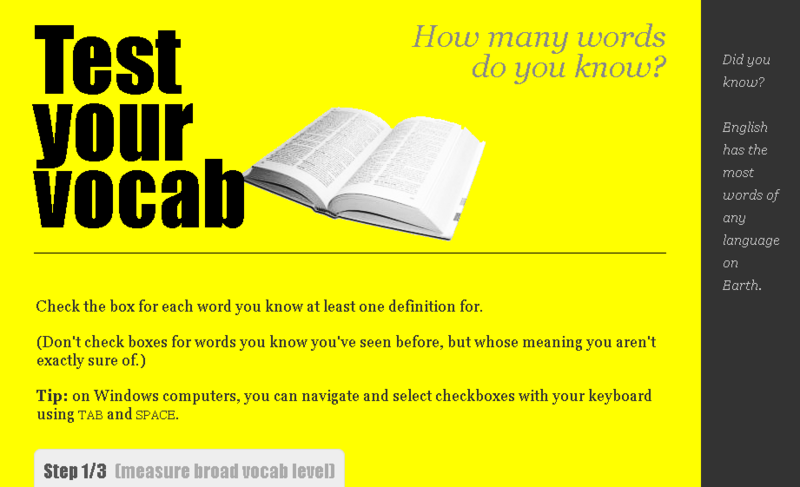 Thanks for taking the test! 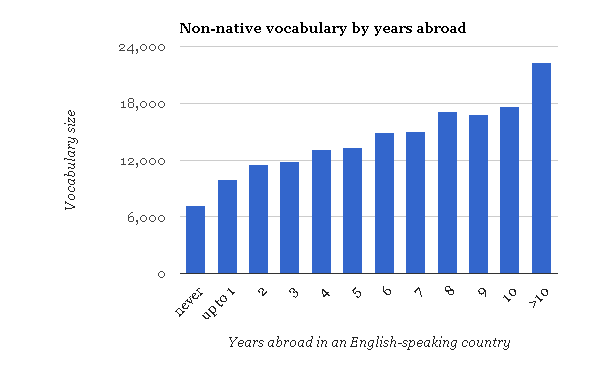 Based on participations so far, we’ve already got some decent statistics. 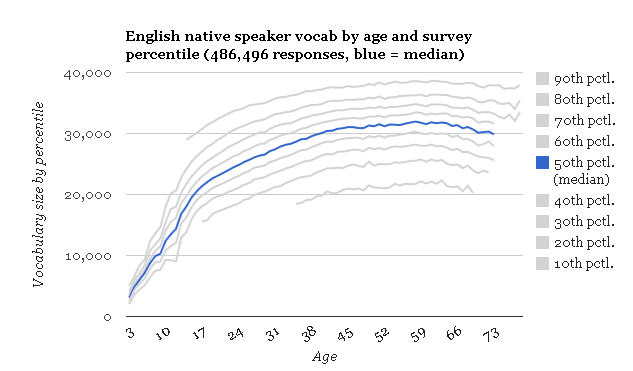 Most native English adult speakers who have taken the test fall in the range 20,000–35,000 words. 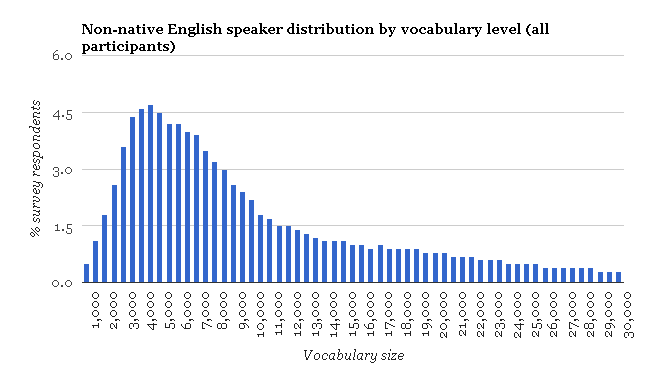 And for foreign learners of English, we’ve found that the most common vocabulary size is from 2,500–9,000 words. 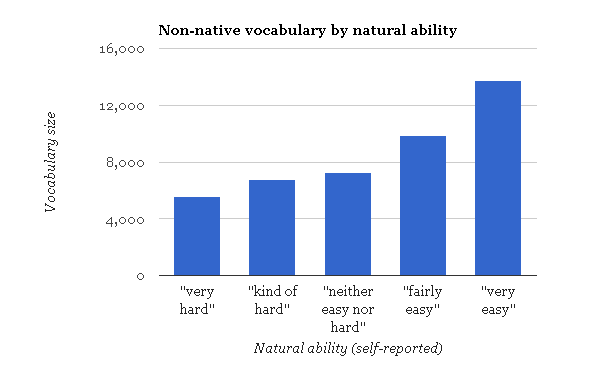 In class, compared to other students, how much do you feel, or did you feel, that learning English, and speaking it, was easy or difficult for you?